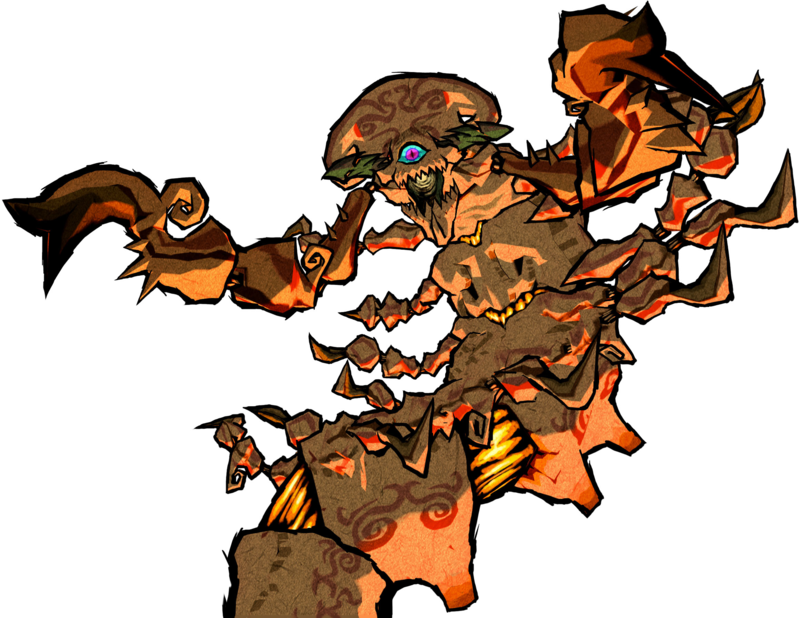 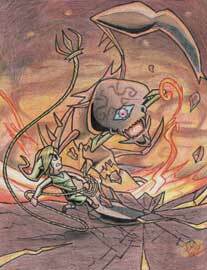 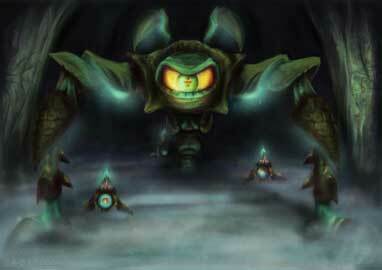 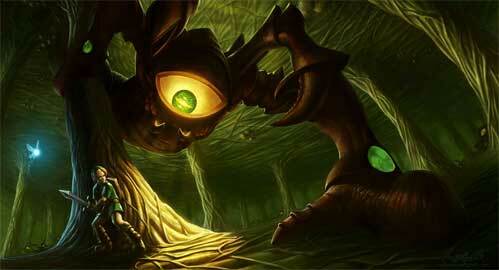 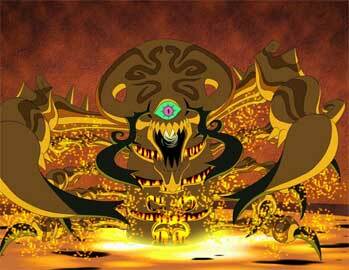 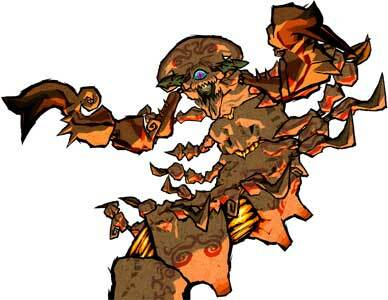 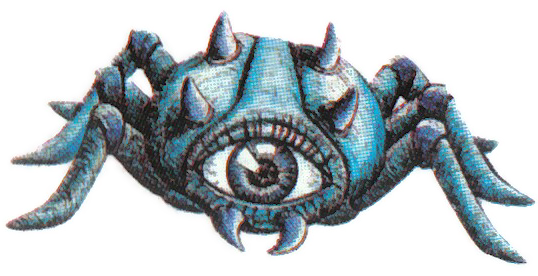 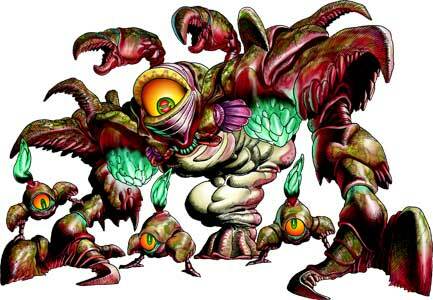 Gohma, later also known as Queen Gohma is a recurring dungeon boss in the Legend of Zelda series. 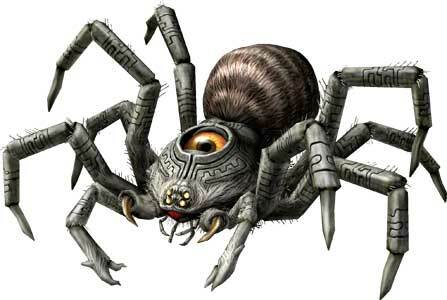 Gohma debuted as a spider like creature with a hard shell. 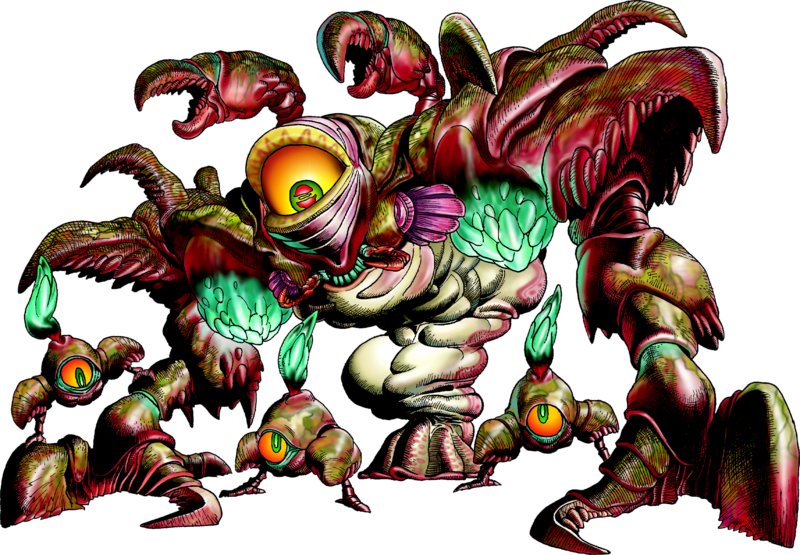 She debuted as the boss of the 6th dungeon in the original Legend of Zelda (1986) and returned for the first time in the handheld Zelda game The Legend of Zelda: Link’s Awakening (1993). 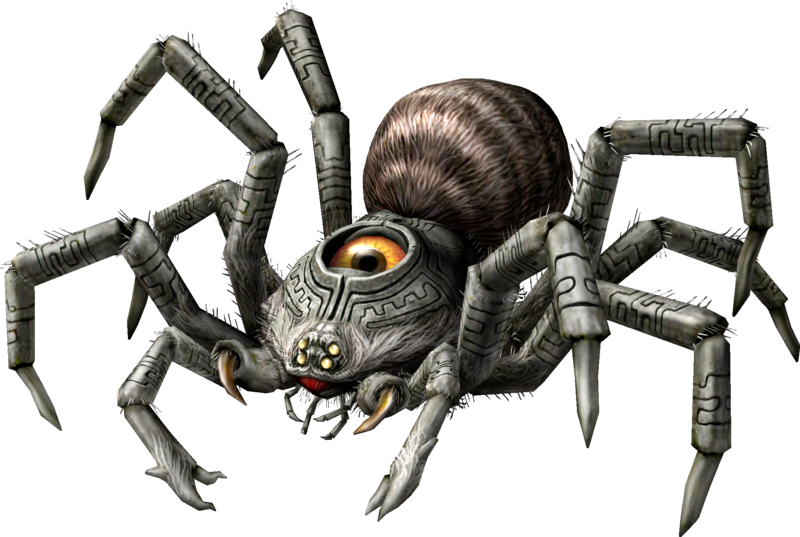 Her design was changed completely in The Legend of Zelda: Ocarina of Time (1998) where she got the name “Parasitic Armored Arachnid: Gohma”. 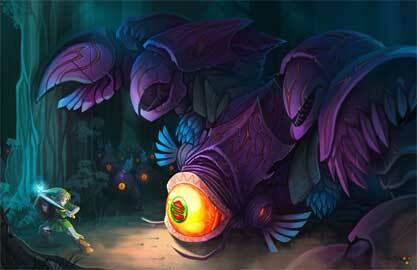 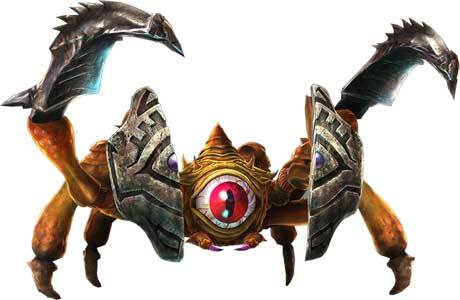 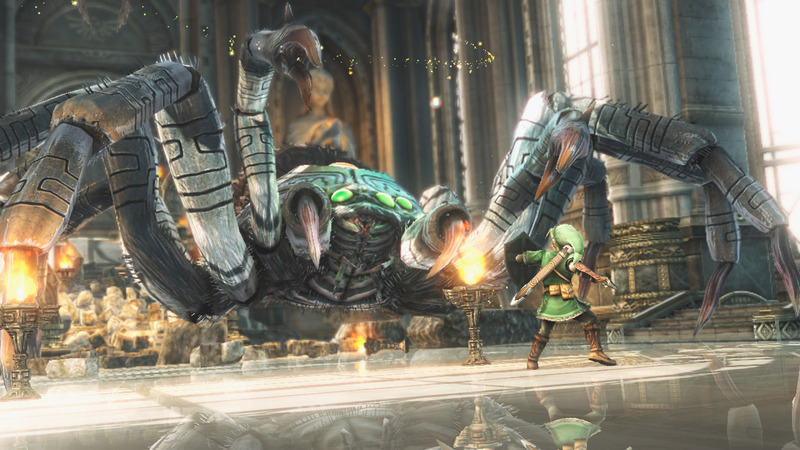 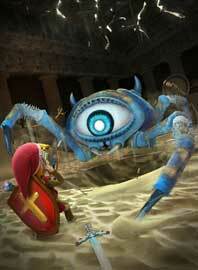 In her currently last main series boss fight, in The Legend of Zelda: Twilight Princess (2006) she is called ” Twilit Arachnid: Armogohma” and looked more like a Spider than ever before. 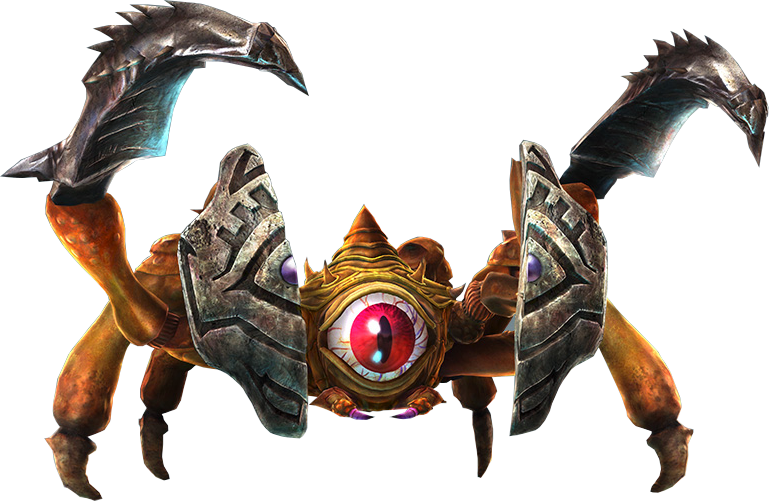 Gohma also returned as a big boss in Hyrule Warriors (2014).